Carla Power’s Pulitizer Prize-shortlisted If the Oceans Were Ink, an outsider’s meditation on The Holy Qur’an with the help of a learned Islamic scholar, signals a subtle but seismic shift in our intellectual world. It joins other unmistakable indications that mostly secular Western thinkers now realize they have allowed the belief of a billion people to be defined by a clique and that the popular understanding of Islam has been warped and obverted to the point that the exception has replaced the rule. I imagine especially for Muslims it is as if everyone thought they were doctors because a friend had a rash, or physicists because they’d seen a car accident. While they understand something from the inside out, everyone else seems to be just peering in from the outside. I was reminded of this when listening to an interview on San Francisco public radio recently. The host of The Forum on KQED, Michael Krasny, was interviewing Qamar Adamjee, curator of a new exhibition of Islamic Art at the Asian Art Museum. (The relevant portion begins at about the 13:00 minute mark.) Krasny does not so much ask a question as state the cultural and human destruction wrought by the Taliban and the Islamic State. As she struggles to express herself, Adamjee’s response is telling. Those who attack art are doing so for political, not religious, reasons, she says. “It’s easy to pick on religion, it’s easy to pick on the other,” which of course cuts in two directions. She changes the subject: “[The exhibit] allows us to see Islamic culture as a much broader thing than the undifferentiated monolithic mass that comes across to us today.” What she is trying to say is: I want to talk about art and Islamic culture. This art has nothing to do with violence. The larger point, perhaps missed in a discussion of art, is that the art and culture and belief of Muslims are what is really important. That is a difficult thing to say while a coalition of nations is trying to destroy the Islamic State. But as this recent NPR story by Tom Gjelten also argues, understanding that larger point is also essential to defeat our enemies and to make friends as well. Carla Power’s honor may be a landmark of that dawning realization but it is not the only example. Another can be found in Garry Wills’ recent essay, “My Koran Problem” in The New York Review of Books in which he admits that only very recently had he read The Holy Qur’an. This is an extraordinary confession. How could a public intellectual and powerful liberal polemic of such range, virtuosity and experience go so long without understanding one of human civilization’s great texts? “It was ridiculous that I would remain completely ignorant of what a quarter of the world’s people not only believe in but live by (in different ways),” he writes. Beginning sometime after 2003, he continues to struggle with this text “unaided”. Surely Wills could find somebody willing to help him? On a smaller scale but in more sympathetic vein, Washington Post columnist Courtland Milloy recently wrote about a visit to the Masjid Muhammad, “The Nation’s Mosque” located in northeast Washington, D.C. “If you see nothing suspicious, maybe that’s normal,” his article was headlined. At the mosque he met the imam, a retired U.S. Air Force Master Sergeant. A member of the mosque is a retired U.S. Army Command Sergeant Major. “We should be America’s allies in the fight against extremism,” another member of the mosque told Milloy. Muslims are by far the greatest victims of terrorism around the world. “Instead, we’re on the defensive, always being asked to respond to somebody’s claim that Islam promotes violence.” Again, in Milloy we hear somebody trying to change the subject, to focus on what’s important, which is what is normal. How did so many overlook this pacific ordinariness, this everydayness, this normality that we all can recognize? Wills writes that he has spent most of his career studying Christian and Jewish theology. Herein is the heart of the problem. I discovered myself how self-limiting one’s own provincial interests can be. Even well-intentioned attempts to learn more lead to a contained circle of works, all cross-referencing each other, each self-delimiting any knowledge beyond the circle. It takes an extraordinary mind or experience to force oneself out and beyond. I am the grateful beneficiary of such an extraordinary experience and extraordinary minds when it comes to Islam. Wills struggles from this insulating defect, unfortunately comparing the Qur’an to The Communist Manifesto and Mein Kampf, as if the holy text were an operational manual for our enemies. This is exactly wrong. Studying and understanding The Holy Qur’an and Islamic thought is how we understand and know our friends. Western secularists don’t understand what Muslims really believe and how their belief animates their lives. What is normal is important because it is what we have in common to defend against intolerance and barbarism. But like Wills, we have to start at the beginning. At the beginning is the realization Wills alludes to: that understanding Islam on its own terms is more important than its present political context. When a billion people believe some thing, we have a duty to understand that from the inside out. If Carla Power’s book suffers a flaw, like any other similar book written by a secular Westerner, it is that she addresses the belief from the outside. But she is studying the Qur’an, which as any Muslim understands is the place to start to understand Islam. There are several excellent guides (in English) to the Qur’an, including Introduction to the Qur’an by M.A. Draz and The Story of the Qur’an by Ingrid Mattson. These both benefit from the authors being Muslim. Additionally, several translations of The Holy Qur’an (also in English) can be found online. I am less familiar with the Sunnah and the Hadith, the actions and sayings of the Prophet Muhammad (peace be upon him) and a major source of Islamic theology and moral philosophy, but translations are also available online. Like Wills, I admit that these ancient texts are indeed challenging to read unaided and barring a community college or divinity school course most of us must avail ourselves to what we can find in the public domain. To understand what Muslims really believe we have to break out of the confining circle of Western scholarship and read what Muslims write about themselves. Fortunately several books do this and don’t require the assistance of a scholar. The journey is rewarding from the first step. The gift of a friend, Muhammad Asad’s The Road to Mecca (1947) is a good place to start. The book is at once a philosophic meditation, spiritual quest, and ripping adventure yarn in the old Islamic tradition. Asad was an Austrian convert from Judaism who began his career as a journalist in the Near East. His adventures, which included advising King Saud and the nascent government of Pakistan, rival or exceed those of T.H. Lawrence, Robert Burton and Gertrude Bell. Asad very nearly died of thirst while lost in the desert and was interned as an enemy alien by British authorities even though his entire family perished in the Holocaust. His greatest contribution was a defining contemporary translation, The Message of the Qur’an (1980), into English. The story of Asad’s conversion is moving. He has returned to interwar Berlin from his latest journalistic exploits in the Near East and he is riding the Berlin U-Bahn with his wife. They note the devastated expressions of their fellow citizens, the deep unhappiness of their lives etched on their faces. There they decide to convert to a system of belief that appeared so much more humane and logical than what they had been raised in. 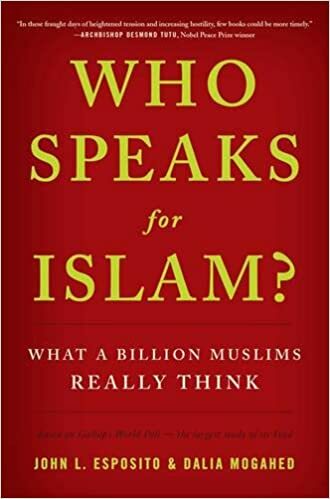 Who Speaks for Islam (2008) is a misleading title since this book, produced by Gallup and written by Dahlia Mogahed and John L. Esposito, is a very literal survey of what Muslims around the world think about belief, politics, and culture. It is a study of a complex and plural community, but many clear common threads show through: the central importance of family, the rejection of political violence, the concerns about the erosion of traditional cultural norms, the necessity of belief guiding political choices and personal behavior. These findings are not particularly dramatic and indeed could be mistaken for similar surveys in Europe and the United States. But they are critical to understanding the community on its own terms rather than those forced on it by barbarians and xenophobes. 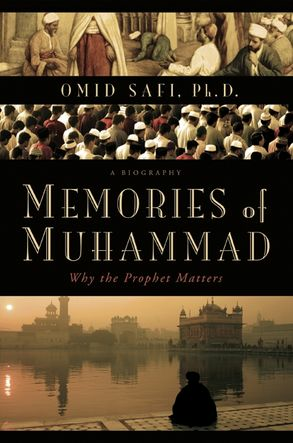 Memories of Muhammad (2008) by Omid Safi, is a kaleidoscopic examination of the legacy of the founder of Islam. Safi argues it is impossible to understand the belief without understanding the man who promulgated it – much as Protestant Christians closely examine the life of Jesus Christ, he notes – in addition to how Muslims remember and honor the Prophet around the world. In the clearest way I have read, Safi illuminates the history of Islam, the Sunni-Shia schism, Sufi mysticism, and even contemporary politics. Born to Iranian parents in Florida, he displays in his home a devotional portrait of the prophet popular in Persian-speaking countries but considered taboo elsewhere – demonstrating the plural and dynamic nature of the community. Safi by necessity acknowledges contemporary challenges – here he writes against the conventional orthodoxies of the “clash of civilizations” as well as Muslim Occidentalism – but significantly argues that the best way to combat religious strife is to argue for the alternative. Like Adamjee, he wants to change the subject to what’s really important: what real people believe and what belief means to them. And by doing so, he is convinced that it is necessary to talk about and gain a better understanding of Islam and what Muslims believe, which is what the rest of us are just now coming around to. This entry was posted in Book Reviews, Books, Politics and Political Theory, Public Diplomacy, Uncategorized and tagged Books, Carla Power, faith, interfaith, Islam, Muslims, politics, Qur'an, religion, Umma. Bookmark the permalink.